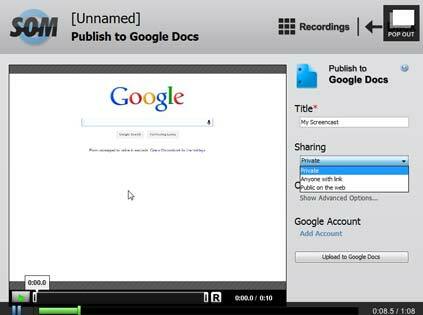 Screencast-O-Matic for Mac / Windows is one of the more popular online screen recorder software on the Internet. It also has a paid premium version that makes it a much powerful screen video capture software. Screen capture software like Screencast-O-Matic was designed to help you record your Mac desktop. Unlike other screen grabber software that only allows you to record the whole screen, Screencast makes it possible to select just a portion of the screen if you prefer. It also has support for a video capture device such as an USB or Firewire Webcam or a Mac iSight. At the same time you can record audio using an external microphone attached to your Mac. Easy to use interface – Screencast-O-Matic has a clean and well designed interface is very easy to navigate for both beginners and advanced users. All of the tool are at your fingertips and it features a single button record function. Video capture device support – The support for a webcam or Mac iSight recording is only available with the premium service. Online screen recorder – Being able to record directly from your browser instead of having to download it and install it is another convenient way to try it out before you pay for the premium service. Limitations on Free version – When it comes to hosting videos online, the free version limits your video upload to 15 minutes, while the premium service is unlimited. Another limitation is that the free service will only allow you to upload to one other video hosting site and that is Youtube, if you want to be able to publish your videos elsewhere, you will need to pay the yearly fee. No specific hardware requirements are listed for Screencast-O-Matic for Mac video capture software. However, it is highly recommended that you have your system hardware up-to-date to ensure the best performance. Screencast-O-Matic for Mac is the best screen capture software that is available for both online and installed on a Mac. Having the free version online version makes it much easier to figure out how to record your screen and make a tutorial out of it without having to spend your hard earned money first. Screencast-O-Matic for Mac / Windows can turn any beginner into a video maker in no time, by putting powerful video editing tools at their fingertips. 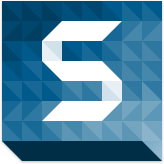 If you are in the market for a screen capture software program and you are a Mac user, try Screencast-O-Matic for Mac. Thanks for the review. Can anyone suggest a best screen recorder to zoom in and zoom out a particular area of the video?